Bank regulators need better quality data, rather than ring-fencing, to analyse risk and protect the UK from a future financial crisis, according to industry body Intellect. 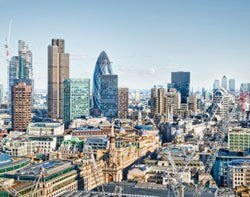 A government-commissioned report by the Independent Commission on Banking (ICB) recently recommended UK banks "ring-fence" retail banking operations from higher-risk investment divisions. However, in a report titled 'Beyond a retail banking ring-fence', Intellect, a UK technology industry trade association, said ring-fencing will be of limited use if risk analytics and the quality of data collected by banks is not urgently reformed. Intellect warned that regulators, acting on poor information in a financial crisis, could exacerbate the situation. Ben Wilson, head of financial services programmes at Intellect said: "At present regulators receive data in various different forms from banks ,which makes it difficult to accurately evaluate what the risk position of each individual bank is. What we need is a single, uniform data standard so regulators can interrogate and understand the data they are receiving." "Unless this happens, regulators may not be able to spot a future crisis and indeed know when part of a bank needs to be resolved and when the ring-fence needs to kick in," Ben Wilson added. Wilson said the recent financial crisis regulators were unable to interpret risk data received from banks, causing a delay in identifying the crisis. He said: "There is a common acceptance that it was this poor data that led to the financial crisis reaching the scale it did." "A retail banking ring-fence is not a silver bullet for financial instability. The Governor of the Bank of England may be right when he said that regulators don't need more risk data from banks. What they do need however, is better data, more often," he added.